Our History - IOTT Insurance Agency, Inc.
Iott Insurance dates back to 1950 when Francis C. Iott became a licensed insurance agent. He was given an agency that he and his wife ran out of a small room in their family home in Deerfield, Michigan. In 1962, Fran decided it was time to expand the business. He purchased a small agency in Blissfield, Michigan, and moved all operations to the new location. A few years later Fran brought on friend, Virgil Diver, to help run the company. In 1972 with the business prospering, Fran and Virgil decided to open a second location in Petersburg, Michigan. Fran’s son, Chuck Iott, was brought on to run the daily operation of this office. When Francis Iott retired in 1990, operation of the agency was taken over by Virg and Chuck. To expand further into southeast Michigan, a third location was opened in Lambertville, Michigan, in 1993. Virg retired in 2006, and two years later Chuck retired as well. All three of our locations have continued to grow and prosper. Today, Iott Insurance Agency is run by Brian Iott (son of Fran), Kurt Diver (son of Virg) and Tim Miller. 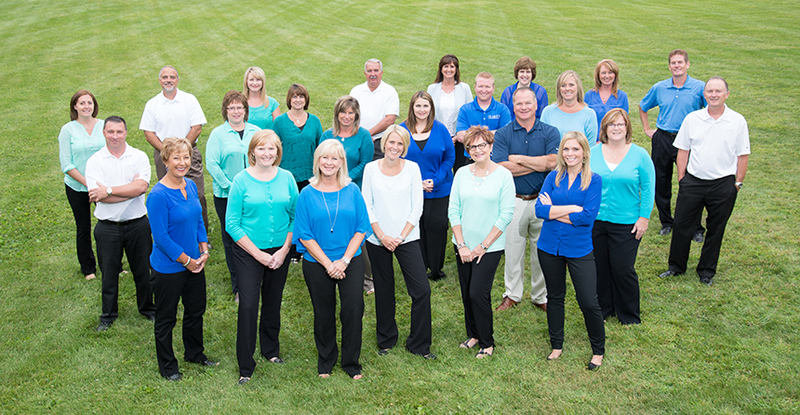 We have a staff of 25 knowledgeable, dedicated employees who enjoy helping our clients and providing them the highest level of customer service. Our goal at Iott Insurance is to help personal and business clients understand the products and ensure they are protected for the future.